Delicious Cookbook - great for special occasions! I am a cookbook lover as well as being extremely curious about the Amish way of life. Put the two together, and I'm interested in Amish recipes my hubby and I can take to church potluck luncheons, and WONDERFUL GOOD COOKING is a great source of (mostly) easy to make options, both old favorites and some I don't know if I would ever try. 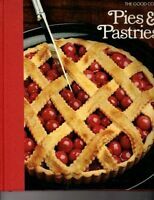 Very interesting cookie, cake and pie recipes that leave me anxious to try them...No more taking the latest "low sugar chocolate turtle pie" from one of the ladies' magazines, only to have a fellow church member show up with exactly the same dish. 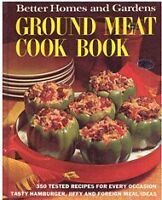 I'd venture to say that NOBODY will bring the same yummy treats as you if you follow these recipes. Old standards: No bake cookies, apple pie. Amish standard: Shoofly pie (2 versions). Unusual fare: Pork cake, porcupine meatballs. Well worth the purchase price for the opportunity WONDERFUL GOOD COOKING provides to do something different! We've already purchased dried buttermilk for use in some recipes, and we talked about buying lard but hubby says we'll use shortening instead. Be creative--give it a shot. The price is sure right. A great treat for seeing how another segment of the population eats...from the comfort of your own home. This cookbook is the real deal. 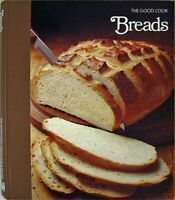 Excellent cookbook with easy to follow recipes. Made with items usually located in any cooks kitchen. Has wonderful history of the Amish as well as some fantastic pictures. Would definately recommend for anyone who is interested in the Amish and who loves to cook. I have a passion for amish products. I love their cookbooks and their cooking. This book was excellent. It was full of wonderful recipes and little thoughts of the amish women that contributed their recipes.